The Burger King Classic is one of the most competitive and highly anticipated four-team basketball tournament each year. Cathedral Prep hosts it every year, while hosting plenty of Division 1 talent on each team that is competing. This year, the Ramblers hosted Plymouth Whitemarsh, St. Ed’s, and Kennedy Catholic. Prep started off the tournament Friday night with a well-fought game against Plymouth Whitemarsh from Plymouth Meeting, Pa., north of Philadelphia. The Ramblers battled the Colonials, who are led by center Naheem McLeod. The Ramblers held the 7’4″ McLeod, who is committed to Florida State, to 15 points. Prep started off slow, but stepped it up in the second half before losing a hard-fought battle 59-47. Sophomore Michael Lucarotti had 18 points for Prep while junior Quentin Santillan added 10. On Saturday, the frustrated Rambler basketball team returned to the compete in the consolation game. Prep faced off against a talented St. Edward’s Eagles team from Lakewood, Ohio, outside of Cleveland. The game started with a series of dunks by the Eagles, which sums up the first half. In the second half, Prep came out firing. Sophomore center Liam Galla was ready for the challenge. Galla set a record for the most points by a Rambler in one game in the Burger King Classic, finishing the game with 35 points. Despite Galla’s efforts leading the team, St. Ed’s was not ready to back down. The game went into overtime with the crowd going crazy. The Ramblers and the Eagles spent the first overtime going back and forth, exchanging buckets. A tie at the end of the first overtime led to a second overtime. Right out of the gate, the Eagles came out to an early lead, giving themselves a convincing lead during overtime. Although Cathedral Prep came back to bring the game within 4 points, their efforts weren’t enough, eventually falling 83-79 in double overtime. 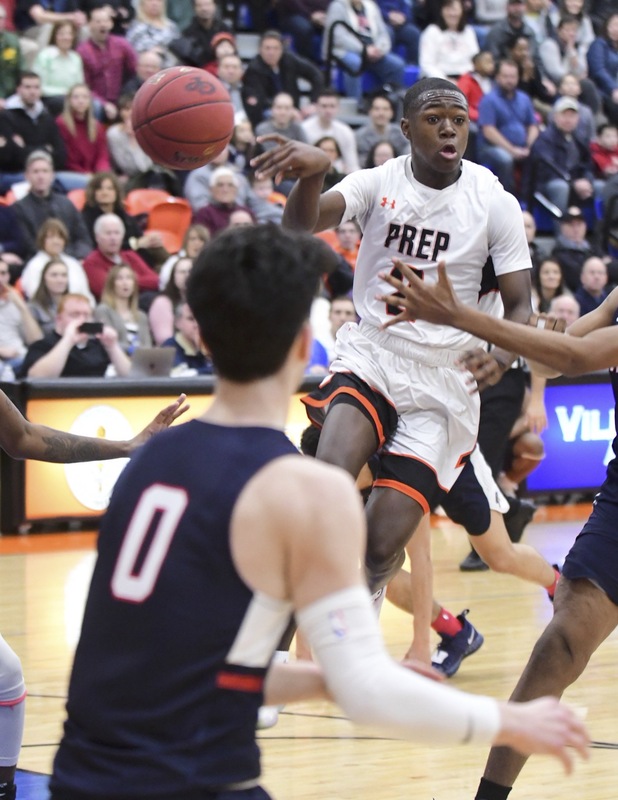 Although the 0-2 record is disappointing, Prep showed a fighting spirit in a pair of competitive games against powerhouses out of their respective states. Kennedy Catholic won the 2019 Burger Classic, defeating Plymouth Whitemarsh 58-43 to win the championship after beating St. Ed’s 73-64 on Friday.